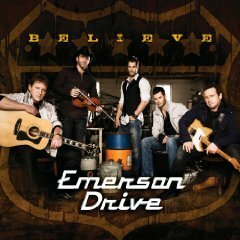 Emerson Drive is a Canadian country music band which started out in Grande Prairie, Alberta in 1995 as 12 Gauge. They found some minor success in Canada, releasing two albums under the name of 12 Gauge, the first "Open Season" was a product of winning a local " Battle of the Bands" contest. They charted two minor singles on the Canadian charts and a music video on CMT. 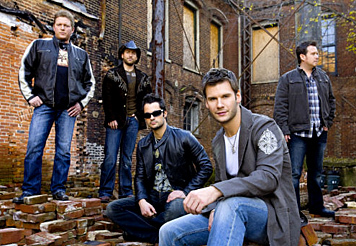 By 2003, they had been re-named Emerson Drive, and had moved to Nashville, Tennessee to find a major label record deal. Emerson Drive recorded two albums on the DreamWorks Records label. They released their debut single, "I Should Be Sleeping," in 2001. The song was a top 5 hit on the Billboard singles chart, as was the follow-up single, "Fall into Me." 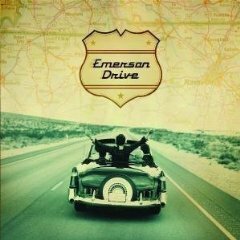 DreamWorks released their album, Emerson Drive, on May 21, 2002, debuting at #13 on Billboard. With their success came more changes to the line-up. Jeff Loberg exited the group to focus on his songwriting in August 2002, and was replaced by Patrick Bourque. Chris Hartman was replaced by Dale Wallace after he left to return to school. Finally, in June 2003, David Pichette joined the group after Pat Allingham parted to spend more time with his family. Lead singer Brad Mates is the only member from the group's original line-up. After DreamWorks' collapse in 2005, they signed to Midas Records Nashville, where they resumed their streak of hit singles, including their first Number One single in "Moments". They went on to release their fifth album, Countrified, on September 19, 2006. The first single, "A Good Man," brought the band back to the American top 20, while the second single, "Moments", gave the group its first No. 1 single on the American country music charts. The third single "You Still Own Me" made the American top 25 in early 2008. The band also received the awards for Best Group and Song of the Year "Moments" in the 2007 AboutCountry awards hosted by About.com. Bass guitar player Patrick Bourque left the band in July 2007. At the 2007 Canadian Country Music Awards, Emerson Drive was named Group of the Year. They also won awards for Single of the Year and CMT Video of the Year, both for "Moments". In summer 2008, Midas Records decided to discontinue their country division. 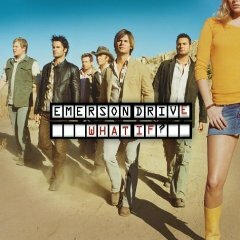 As a result, Emerson Drive was moved over to The Valory Music Company. 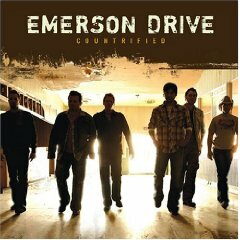 Emerson Drive 's fourth studio album will be released in late 2009, while the CD will be released in Canada on May 5th, 2009. The lead single off the album, "Belongs to You", entered Top 40 on the US charts and Top-10 on the Canadian country charts in December 2008. The album's second Canadian single, "Believe" was released to radio in March 2009, followed by its second American single, "That Kind of Beautiful". The members of Emerson Drive now live in Nashville, where they look forward to becoming part of the U.S. country music scene. They can't wait to get back in the van, travel across the 50 states and meet a whole new family of fans and friends. As musicians they can't wait to be back on the stage each night doing what they do best - entertaining the crowd with their high-energy show.